Parish Councils are the first tier of local government. Councillors are democratically elected to represent their communities and are there to support communities whilst being accountable to them. 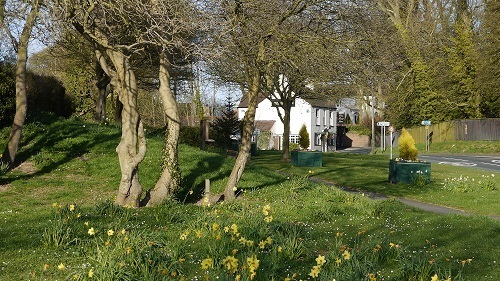 The village of Barnoldby le Beck is in Wolds Ward of North East Lincolnshire and is served by Barnoldby le Beck Parish Council and now has over 230 residents. Barnoldby le Beck Parish Council is made up of five elected members and a part time Clerk, we hold our meetings in St Helens Church on Church Lane in Barnoldby le Beck and at Waltham Library during the winter months. The meetings start at 7.30pm on the second Monday of January, March, May, July, September and November and residents are most welcome to attend. Councillors come from all walks of life and anyone who lives or works in the Parish, is over 18 years of age and is on the electoral register can become a parish councillor. The Parish Council is responsible for the village planters, maintenance of the grass in the car park, around the obelisk and St Helens Church. The Parish Council are statutory consultees on planning matters as well as planning applications appertaining to the village and continually report issues of concern to the Local Authority such as pot holes, flooding and highway matters. Councillors represent the parish at the Stanford Trust, Town & Parish Liaison Committee and Campaign to Protect Rural England meetings. Barnoldby le Beck Parish Council is also a member of ERNLLCA (East Riding and Northern Lincolnshire Local Councils Association) who provides training, advice and guidance for the ever developing role of a parish councillor.